Control unwanted frizz and flyaways with ghd Straight & Tame Cream; a lightweight formula that promises to calm, smoothen and increase manageability of unruly, rebellious locks. Formulated with the brand's innovative Heat Protect System, the non-greasy cream shields against heat styling damage, whilst allowing you to create a super straight, sleek style with ultimate shine. 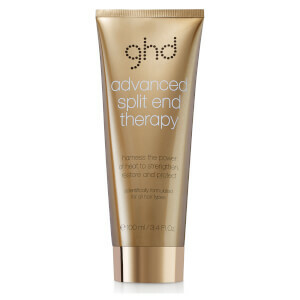 Suitable for use on damp hair before blow-drying, or to de-frizz strands throughout the day. Work three to five pumps (depending on length/ thickness) evenly through damp hair before blow-drying. Tame and de-frizz hair throughout the day by working a little cream through your style.